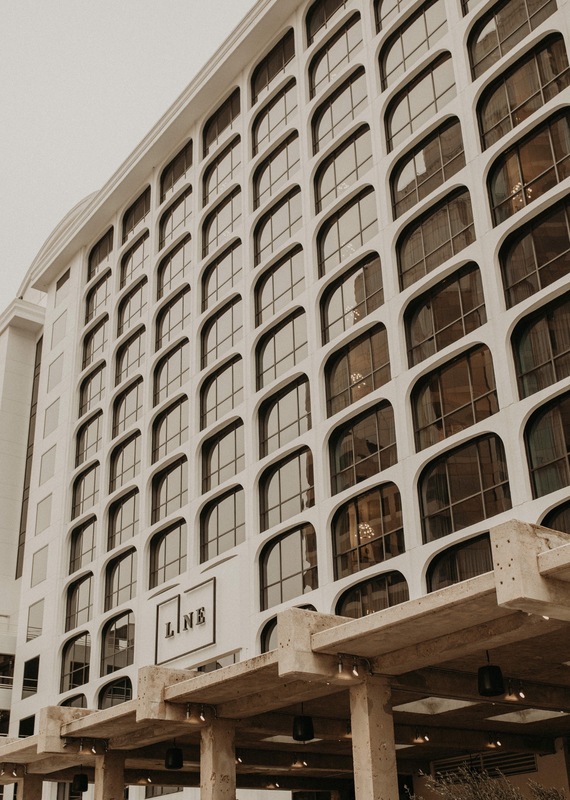 If you’re looking to have a killer modern wedding in Austin, Texas look no further than The LINE Austin, a hip, new hotel located downtown. This is one of three amazing hotels located throughout the country. The other two locations are The LINE LA and The LINE DC. The fact that Austin has been included in this exclusive list of these exquisite hotels says a lot about our amazing city and the sort of culture and vibes it’s creating! If you think the location of this gorgeous modern wedding is something special, wait ’till I tell you about the stars of this event… Anna and Brett were an absolute dream to work with and such a sweet couple. Anna could not stop smiling and laughing throughout the entire day and her joy was contagious to everyone around her, including me. I couldn’t help but feel her happiness as it radiated off of her. Brett was a thoughtful and considerate man, very conscious to make sure everyone around him felt comfortable and taken care of. Fun fact about Brett, he’s actually a co-writer for the HBO series Silicon Valley! A big theme that came through during this wedding was the emphasis on family; it was so fun for me to capture. To be honest, it isn’t always common to see such a strong bond between family members, so the deep love and connection that was demonstrated throughout the evening really helped create a warm yet vibrant atmosphere. Finally, who could talk about this unforgettable modern wedding and not mention the epic dance party that concluded the evening. It was initiated by the happy couple themselves when they began pulling people onto the dance floor. I know we’ve all been to weddings that have that awkward lull that happens after the DJ opens up the floor for guests to dance. What better way to avoid that than to start grabbing people and pulling them onto the dance floor right away? It was the first time I’d ever seen this tactic and it really worked! It was so awesome to see the dance floor immediately fill up!